Alastair Cook became the 5th batsman to score a century on debut and in his last Test. 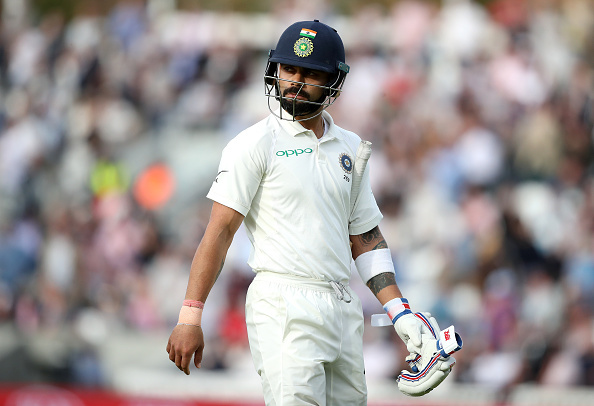 The England and India fifth Test of the five-match series went into the pocket of the home side by the time the fourth day came to a close as India crumbled in the chase of 464 runs. 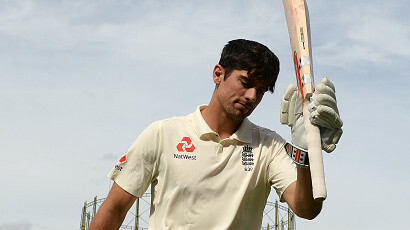 Alastair Cook finished his Test batting career with 12472 runs in 161 matches and 291 innings, making 71 and 147 in his last Test match. England started their day at 114/2 and just built a strong lead from there. Cook and Root grew in confidence as they negotiated the morning swing and seam from the Indian bowlers. 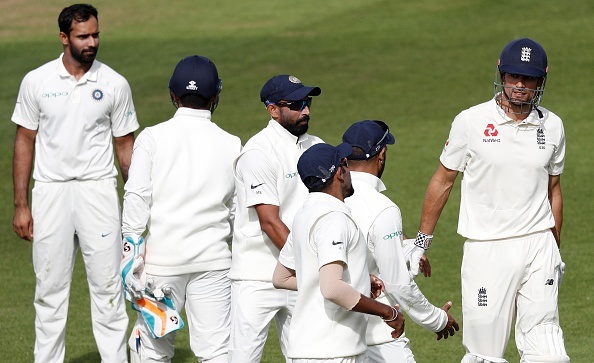 The fact that Ishant Sharma went off with an injury proved to be a blessing in disguise for England, as they pummeled the weakened bowling lineup. Cook (147 off 286 balls with 14 fours) became the fifth batsman after Reginald Duff (AUS), Bill Ponsford (AUS), Greg Chappell (AUS) and Mohammed Azharuddin (IND) to score a century in their debut and final Test match. Root followed suit by scoring his 14th Test ton (125 in 190 balls with 12 fours and 1 six) as the duo added 259 runs for the third wicket. However, both fell in two deliveries to Hanuma Vihari, who first dismissed Joe Root for his first Test wicket, caught by Pandya and then had Cook caught by Pant off the next ball to end one of the best innings by the England batting legend. Shami removed Bairstow for 8 and Jadeja removed the dangerous Buttler for a duck. But Stokes (37) and Sam Curran (21) added 41 runs for the 7th wicket and pushed England towards the 450-run mark. However, Jadeja removed Stokes and Vihari removed Curran at 423 and Root declared the innings closed. India needed 464 runs to win the match and needed the openers to come good, but James Anderson had Dhawan (1) and Pujara (0) out LBW in the same over. 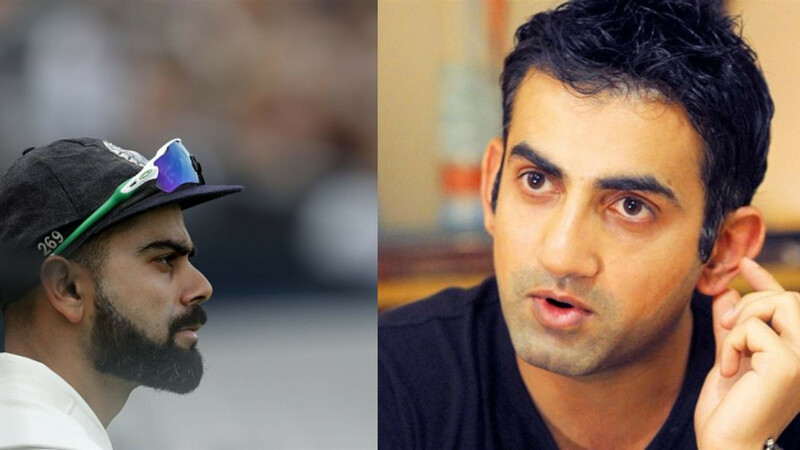 Broad then removed Kohli for a golden duck to shatter whatever hopes India had in order to give a chase to this huge target. KL Rahul (46*) and Ajinkya Rahane (10*) kept the bowlers at bay until the close of the play, where India ended day four on 58/3.